1920x1080 Full HD resolution, 16:09 aspect ratio, 1,000,000:1 contrast ratio, 200 nits brightness, and many customizable settings to fit your needs. Get ready to take your productivity to the next level with the Dual Monitor and Gas Spring Mount Bundle from V7. 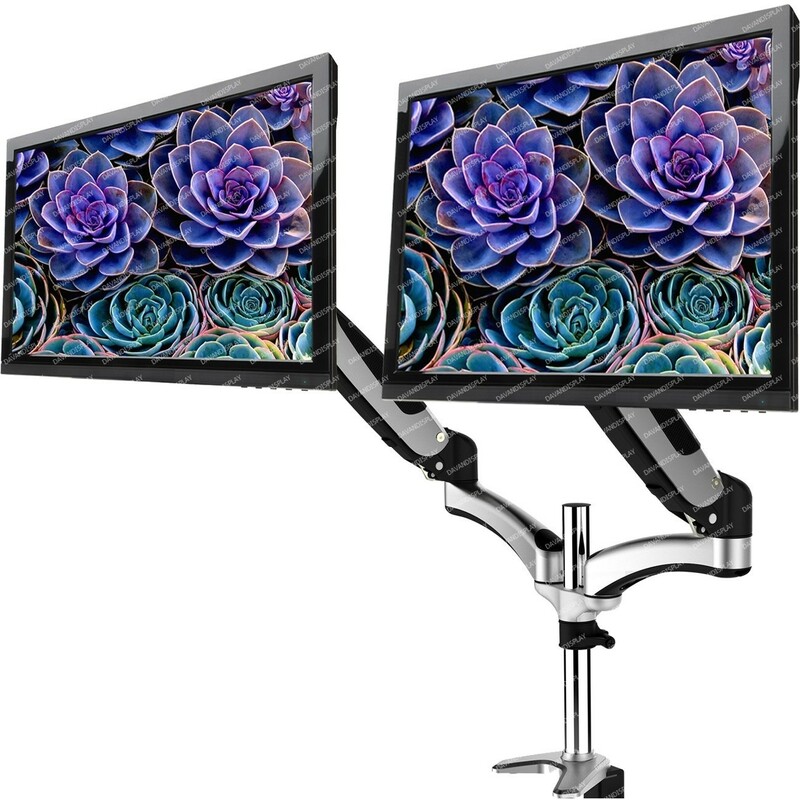 The dual arm, gas spring mount is height adjustable and frees up valuable desk space, plus the mount enables you to position two monitors quickly and easily so you can get back to business. The Displays feature a 16:9 aspect ratio, plus Full HD 1920x1080 resolution for spectacular image quality. 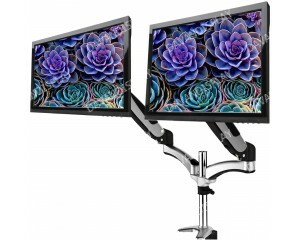 The displays also feature VGA and DVI inputs so you can connect to a wide range of desktops and laptops - for the ultimate productivity bundle, look no further than LCD2GDM-V7KIT from V7.